Perennial flowers often offer the best of all worlds: easy care, no replanting or seeding required, and predictable growth, appearance, and outcomes. In hot climates, heat tolerant perennials are a must. Here’s a list of heat resistant perennials that are worth growing. Give some of these a try. Did we leave out any good choices? Leave a comment and let us know! A clumping perennial with a deep tap root, this herb has leathery leaves and blue bracts. It is native to the Mediterranean and prefers dry soil and climates. Also known as Stonecrop, this is one of the most dependable and adaptable perennials known. It blooms from August to November except in the coldest of climates. While heat resilient, these flowers are not drought tolerant. A part of the sunflower family, these drought-tolerant flowers are treasured for their bright red and yellow hues. Also known as Bungleweed, Ground Pine, or just Bugle, these comprise about fifty species of herbaceous flowering plants in the mint family. Most are native to Europe, Asia and Africa. Also called Alumroot, these are all North American native plants known for their long, flowery stems that grow upwards in purple and white fountains. Naturally drought and heat tolerant, these grow mostly in rocky soils where other plants struggle. 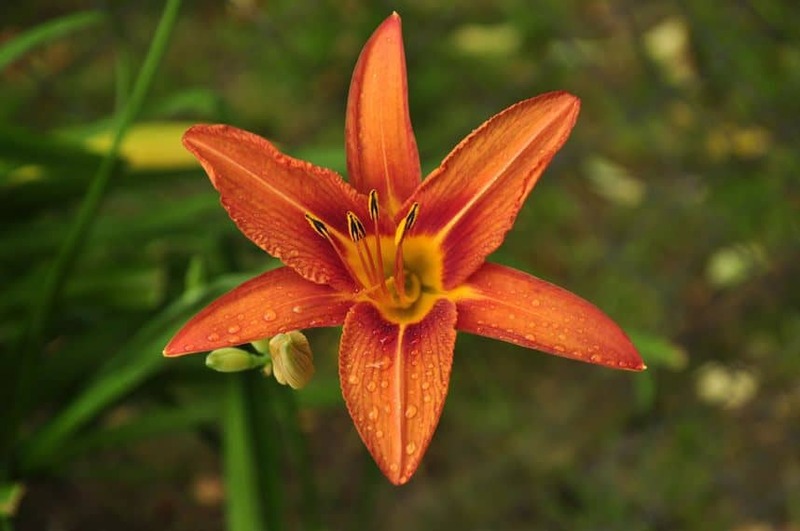 The Daylilly is one heat tolerant perennial flower to consider. One of the most treasured of the gardener’s flowers, daylilies comes in many varieties. Most are heat resilient, but not all are drought tolerant. Varieties that are closest to wild types will have more tolerance than will greenhouse options. One of the most abundant flowers, this is also grown for medicinal uses. 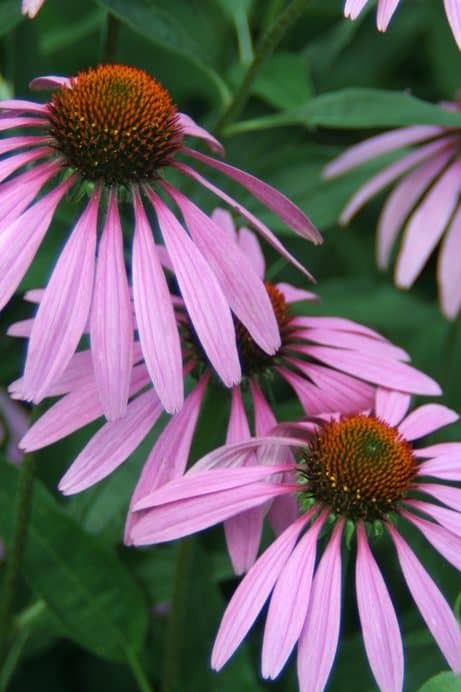 A part of the daisy family, echinacea is native to eastern and central America and are most associated with prairies and dry climates. Grown for its rich height and beautiful top feathers, Eulalia is also known as Chinese Silver Grass, Maiden Grass, Zebra Grass, Susuki Grass, and Porcupine Grass. Most of these names signify the look of this plant, which is very drought and heat tolerant. It is native to East Asia, including China, Japan, Taiwan and Korea. A wild flower known by too many names to mention, it is best known for its fat purple top cones of fluffy color. Easily grown in most conditions, it is very heat tolerant. Grown as ground cover, this grass-like perennial is very popular and easily cared for. With well over two hundred species, these European natives are mainly Mediterranean in origin known for their dense rosettes of leaves at ground level mated to tall, flowering stems. They are drought and heat resilient. The Beard-tongue is a large group of North American and East Asian flowering plants who flowers resemble a mouth with its tongue sticking out. While not necessarily drought-tolerant, Penstemon is heat resilient. Named for its large, rounded, fiery tip resembling a hot fire poker or compact fireworks display, this stemmed plant produces a lot of nectar in wet years and are favorite hummingbird attractors. Known as Coneflowers or Black-eyed Susans, these daisy-like flowers are native to North America and often confused with sunflowers, though their widely-spaced pedals usually give them away. These are popular garden border plants as they attract many of the moths known to attack cabbages and broad-leafed edibles. These bushy shrub-like vines grow well in most situations and are treasured for their rich displays of white flowers. 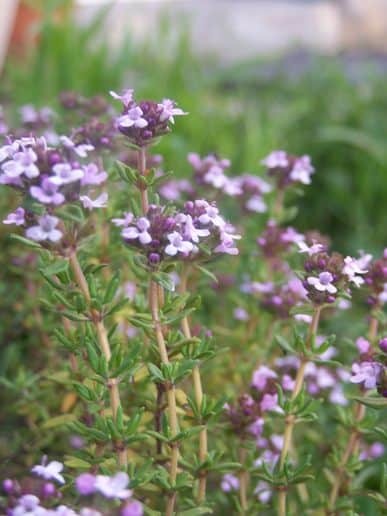 A popular kitchen herb, thyme has a distinct fragrance and color that is complemented by its ability to grow in almost any climate. Common in temperate regions in the northern hemisphere, yarrow is known by several names, but has been treasured by many cultures as a medicinal uses as well as its use in dyes and coloring. A popular and very prolific native to most of the western half of North America, the columbine grows wild in yellows and whites, with rich displays of foliage topped by flowers carpeting large fields in the plains. While drougt- and heat- tolerant, these flowers need to be deep rooted to survive. 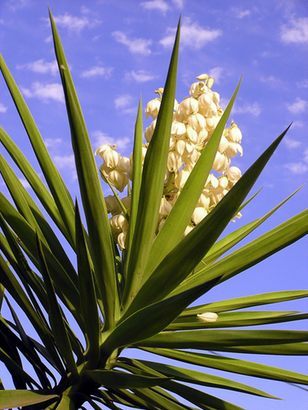 An extremely popular landcaping plant in desert climates, the Yucca is native to the southwestern and central U.S. It grows nearly anywhere there is soil and is often associated with graveyards, where it can grow wildly and where its white plumes are ghost-like in the evening.